One of the hottest selling kicks came from Reebok and Kendrick Lamar earlier this summer. 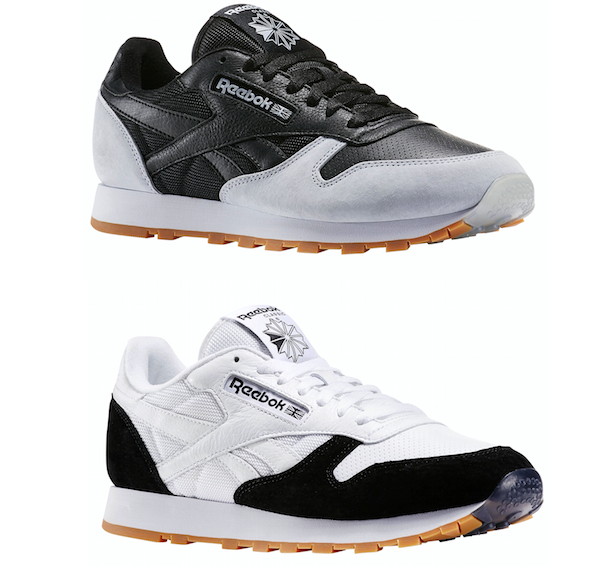 Now Reebok Classic and multi-platinum selling, Top Dawg Entertainment artist Kendrick Lamar return with the new Classic Leather “Perfect Split” pack. The collection will comprise of Men’s and Women’s styles, launching on Friday, July 15, 2016. The Classic Leather “Perfect Split” pack brings the split sides of Kendrick’s personality to life, as the silhouettes’ understated white and stone base is updated with contrasting color-blocked accents, alongside a ‘split’ rubber outsole combining retro GUM with contemporary ICE. Globally acclaimed director Nabil photographed Kendrick in a complementing campaign entirely on vintage camera equipment. The series of raw and candid portraits capture Kendrick in a range of poses, which also reflect the different sides to his personality. The Classic Leather “Perfect Split” will be available for $74.99 at retailers including Reebok.com, Champs and Footaction, starting Friday, July 15, 2016. Reebok had one of the hottest selling sneakers this summer with their team up with Kendrick Lamar. Now Reebok is adding another artist into the mix. Reebok is expanding the brand’s network of global talent with the appointment of international style pioneer and music artist, Future. 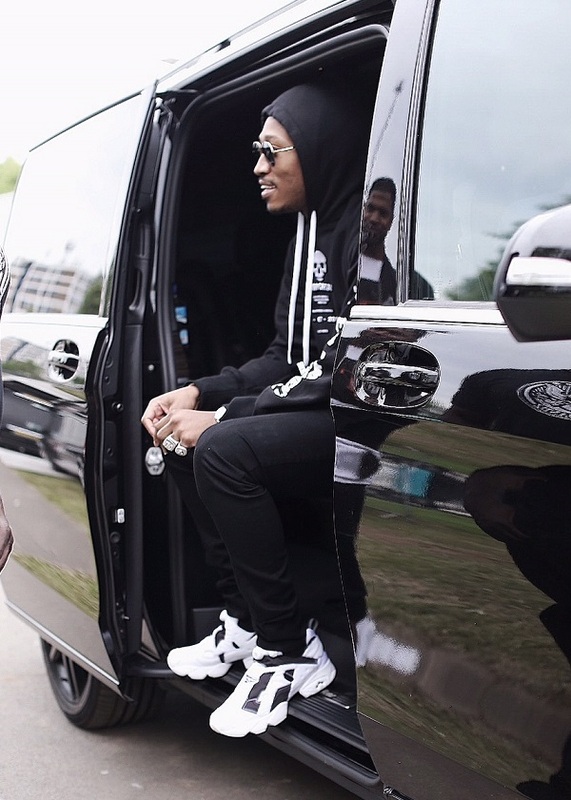 Future has joined Reebok’s like-minded collective of innovative and inspirational creators. 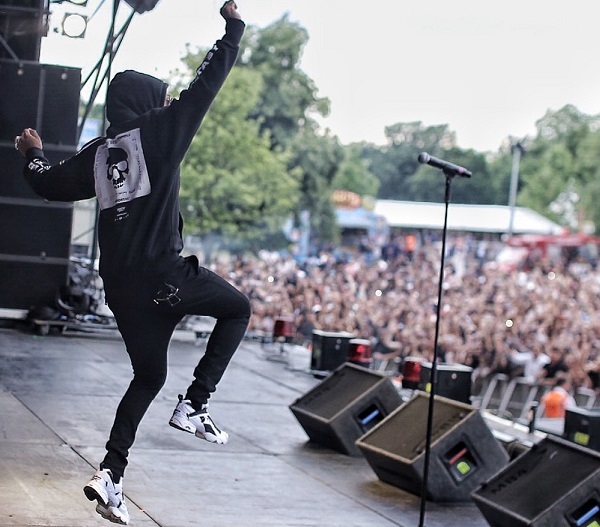 The American hip-hop superstar hailing from Atlanta, Georgia, is a true creative visionary. Known for his pioneering unique sound within the music space mixed with his trend-setting style, Future continues to innovate both in and outside of the music industry. Future launched the partnership on Saturday,July 9, 2016, on his Snapchat (@Future) and Instagram channels (@Future) where he touched on the synergies between both parties while unveiling the InstaPump Fury “Overbranded,” launching Fall 2016. The InstaPump Fury marks one of Reebok’s most iconic innovations in the sneaker industry from the 90’s, a fitting pairing to the brand’s new partner, a trailblazer in his own right. The announcement marks the beginning of a significant creative relationship between Reebok Classic and Future, with more to come in 2016 and beyond. Next up, Future will kick off his highly anticipated Summer Sixteen tour starting July 20th where fans can expect to see a Reebok presence at each stop. Crown Royal is known for their great work for the Your Hero’s Name Here Program. This week they announced the winner of this year’s program. In just a few short weeks, racing fans from across the country will flock to Indianapolis for one of NASCAR’s biggest events of the summer. 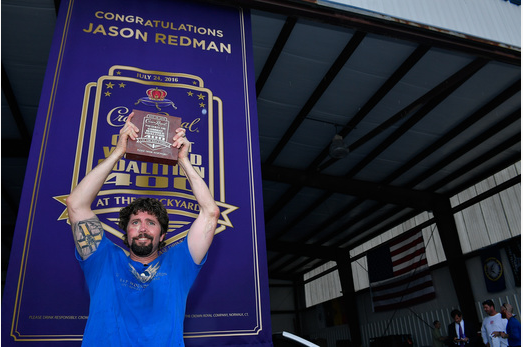 And despite being named the winner of the annual Crown Royal “Your Hero’s Name Here” program, which renames the Brickyard 400 after a deserving hero, retired U.S. Navy SEAL Jason Redman’s name won’t be displayed around the famed Indianapolis Motor Speedway – for good reason. Redman instead asked that the race bear the name of the charity he and his wife, Erica, founded. The NASCAR Sprint Cup Series Race will officially be referred to as the Crown Royal presents the Combat Wounded Coalition 400 at the Brickyard. 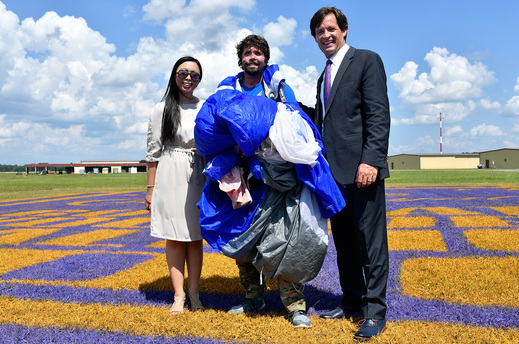 Today, during a special surprise event in Suffolk, Va., Redman was announced the winner of the annual program while completing his one hundredth skydiving jump. Redman witnessed the reveal of the official race logo, painted in the landing area at Skydive Suffolk, from mid-air as he approached the ground. After the logo unveiling, Redman was greeted by Erica, Indianapolis Motor Speedway President Doug Boles, and Crown Royal Associate Brand Manager Dany Penn. Redman was then escorted to a nearby hangar for a party where he was able to celebrate the announcement with his closest friends, colleagues and family. Redman, of Chesapeake, Va., enlisted in the Navy following high school and served 11 years as an enlisted SEAL before enrolling at Old Dominion University. After graduation, Redman was commissioned as a Naval SEAL Officer and served ten more years. Throughout his career he served five deployments including two combat deployments. In 2007, Redman’s Assault Team came under heavy machine gun fire and he was wounded with shots to the face and left arm. While recovering from his 37 surgeries at Bethesda Naval Medical Center, Redman wrote and hung a sign on his door which became a statement and symbol for wounded warriors everywhere. The original sign on the door now hangs in the Wounded Ward at the National Naval Medical Center Bethesda. Redman was honored with the Purple Heart, the Bronze Star Medal with Valor, Defense Meritorious Service Medal, Navy Commendation Medal, Joint Service Achievement Medal, Navy Achievement Medals and two Combat Action Ribbons. Following his recovery, Redman founded the non-profit organizations Combat Wounded Coalition and Wounded Wear to help combat wounded warriors overcome the wounds of war. The Combat Wounded Coalition provides free clothing, clothing modifications, and connections to other vetted service organizations for combat wounded warrior needs. To date, the Combat Wounded Coalition has helped over 500 wounded warriors return to daily life after serving. This will mark the tenth time Crown Royal has renamed a NASCAR Sprint Cup Series race, and the first time a race will be named after a charity, through the whisky brand’s “Your Hero’s Name Here” program. After receiving hundreds of entries during the nomination period, five heroes were chosen as finalists and adult fans had the opportunity to cast their votes for the person they felt was most deserving of the honor. If you are in the market for a new SUV you got to look at the all-new 2017 Nissan Pathfinder. The 2017 Pathfinder takes performance and style to a higher level with an aggressive new exterior look, increased power, and enhanced safety and technology. 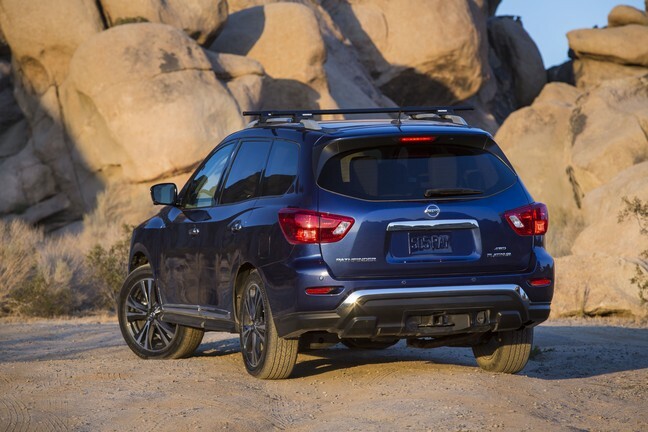 The reborn Pathfinder has bold new styling that evokes a stronger sense of adventure, character and presence in one of Nissan’s best known nameplates. The refreshed exterior reflects Nissans latest signature design elements, including the new “V-Motion” grille and boomerang-shaped headlights with LED daytime running lights. Additionally, the 2017 Pathfinder features a new hood, front bumper, fog lights, and aerodynamic optimization efforts. The roomy, refined interior will have a number of updates focusing on convenience and connectivity. The biggest change is the adoption of new-generation information technology, including improved Advanced Drive-Assist Display, voice recognition, and NissanConnect Services. Furthermore, the 2017 Pathfinder steps up its adventure credentials with a 3.5-liter V6 engine, allowing for more power, torque and towing capacity. You already may have known this but, Reebok has been the leading global provider of CrossFit apparel and footwear. 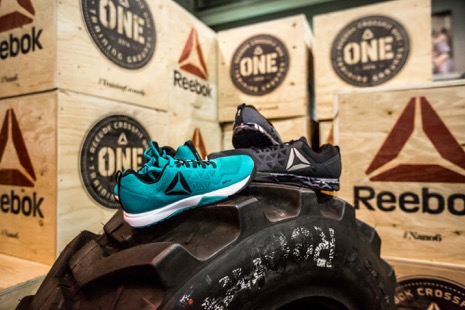 This week Reebok has unveiled the latest iteration of the most sought-after shoe in CrossFit boxes around the world – the Reebok CrossFit Nano 6.0 — the #1 shoe in CrossFit. Ever-evolving, the Nano franchise continues to demonstrate Reebok’s commitment to refine and engineer the most groundbreaking CrossFit footwear available. The Reebok CrossFit Nano 6.0 features one of the most innovative outsoles for performance training while providing an anatomical fit that is both natural and secure. Strength starts from the ground up and the Reebok CrossFit Nano 6.0 introduces a new shape that is built to support the movement of the foot under load. The shoe provides more natural stability and control through a new molded heel counter and foot bed alongside a new stretch Kevlar fabric that retains durability. Here are some details on the why the Nano 6.0 is perfect for your CrossFit workout. Outsole – MetaSplit Expansion forefoot flex grooves for optimum splay and increased stability for heavy lifting and dynamic movement. The Reebok CrossFit Nano 6.0 will retail for $130 and is currently available on Reebok.com for Men’s and Women’s styles. 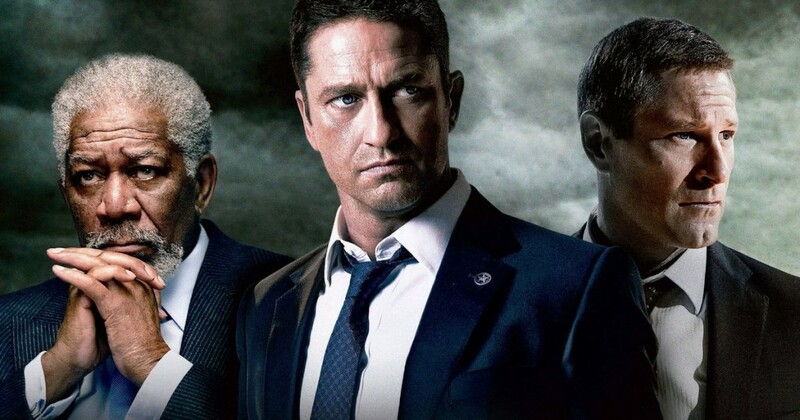 If you have seen “Olympus Has Fallen” I am guessing you saw the sequel to that film “London Has Fallen.” If not you have a chance to win both films on Blu-ray. All you have to do is follow us on Twitter for your chance to win both movies. In “London Has Fallen” the devastation of a world capital and a revenge plan against an American president fuel the high-octane “London Has Fallen.” In this film the fantastic cast that includes Gerard Butler, Aaron Eckhart, Angela Bassett and Morgan Freeman reprises their original roles from Olympus Has Fallen, joined by Alon Moni Aboutboul. Jackie Earle Haley, Charlotte Riley, and Waleed F. Zuaiter and Babak Najafi directs London Has Fallen. When the British Prime Minster dies unexpectedly, Secret Service Agent Mike Banning knows it is his duty to prep with Secret Service Director Lynne Jacobs for them to accompany U.S. President Benjamin Asher (Aaron Eckhart) to the state funeral at St Paul’s Cathedral in London. With every powerful world leader set to attend, the funeral should be the most protected event on Earth. Yet within moments of arriving, heads of government are assassinated and London landmarks are attacked. Asher, Banning, and Jacobs are ambushed and retreat amidst a hail of gunfire and explosives. The devastated British capital goes into lockdown. Banning will stop at nothing to secure Asher’s safe return home. Back at the White House, Vice President Allan Trumbull races against time brainstorming with top advisors in the Situation Room to get those trapped in London a lifeline of support and a way out. Outnumbered and outgunned, Banning reaches out for help to an English MI6 agent who rightly trusts no one. Failure is not an option as they attempt to stop the criminals from carrying out the final phase of their revenge plan. Here are some of the bonus features that come with the film. •The Making of London Has Fallen – An inside look at the massive undertaking of shooting such a large-scale film in London. Featuring interviews with cast and crew, this piece shows the unique challenges encountered on-set, director Babak Najafi’s process, and the cast’s inspiration for their characterizations. • Guns, Knives & Explosives – Delve deeper into Gerard Butler’s iconic character of Mike Banning, and the extensive training and preparation the actor needed to play a Secret Service agent. •Blu-ray™ unleashes the power of your HDTV and is the best way to watch movies at home, featuring 6X the picture resolution of DVD, exclusive extras and theater-quality surround sound. •DIGITAL HD with UltraViolet™ lets fans watch movies anywhere on their favorite devices. Users can instantly stream or download. CS: Tell me about your decision to return to college for another season, finish up your degree and improve your game. KS: The main reason why I came back to school was just to get my education. I put a lot of work in my first three years. I stayed in both summer sessions. I felt like I wanted to get that so no one could take it away from me, and just be a good role model for my two little sisters. They’re heading off to high school and so just to show them how important education is and how important it is to graduate college. I’m just trying to set the standard high for my family, really. And you know, graduation day, that was a special day for us. It was a celebration for me, but also for the family and Providence College, so that was good. CS: Do you think other college players might follow your lead and try to hone their game, secure that education, and just get those skills up before going to the NBA? That definitely hasn’t been the trend in recent years. KS: Yeah, I mean everybody has a different scenario, a different situation at home. Some kids might need the money so that is why they go one-and-done. Some kids might feel like they’re ready right away. KS: I’m not going to be the first to do this. Down the road, there’s definitely going to be another person who does the same thing as me. So if they do that, I’m blessed to know that I showed them that you don’t have to be afraid to go back and stick to your education. If you feel like you need to tighten up your game a little bit more, then you should be able to do that. You should be able to be a kid one more last time before going to the NBA. Because everybody knows the NBA is a business, so it’s not like how college is where you always have your teammates around. Everybody has different lives though. CS: The general landscape of the NBA is changing. It’s no longer a league dominated by big guys in the paint. You see what the Warriors are doing and you see how the perimeter game is changing things. How do you think your game will translate to the next level? KS: I think I’ll adjust okay. At Providence College, all we did was pick and roll, so I’m very used to different schemes based on what defenses would do to us. I’m very comfortable in a pick and roll offense. I feel like I can get anybody involved. I’m very capable of getting into the lane, attacking at the rim or finding the open man. I’ve been doing a lot of that at Providence. And I’m very comfortable with my shot as well. Anybody who watches my games — any big time shot I hit, it wasn’t due to lay ups, it was due to my jump shot. That shows your right there how confident I am in my shot. And I feel like my defense is going to be my greatest strength. I feel like I can defend. I feel like I can cause havoc. CS: What players did you look up to when you were just learning the game? KS: The player I looked up to when I was little was Kobe Bryant. It was just all because of his mentality. He’s the type of person that – every day – he’s going to bring it. Whether it’s practice or in the game. His killer mentality, not too many people have that. That’s the type of mentality I’m trying to create for myself. Just bring it every day and don’t back down from anybody. That’s what I loved about him. CS: So you won’t have the choice to decide where you go in the draft. Is there a certain place you’d like to end up? How do you manage those expectations when it’s out of your hands? KS: No, actually I don’t have a specific place that I want to go to. My dream is just to be drafted. As a broke kid, all I wanted to do was play in the NBA. And to have that opportunity, to have a chance to be in the lottery, that is a blessing itself. Whatever team that selects me, I’m going to go there and work hard and try to impact the team the best way possible. If they need me to defend or if they need me to do whatever they want me to do. I just want to go there and I want to play. And I know it takes hard work to get out on the court. CS: Have you done any preparation to account for any draft day jitters or just the pressure and the uncertainty of that specific day in your life? KS: No. Right now, I’m just excited. I’m excited I’m just excited because me and my family have been through a lot of ups and downs throughout the years. Draft night, it’s a moment for us. I think we deserve to be in this situation because we all worked hard as a family. It wasn’t just me. Everybody put effort into helping me get to where I am. I have to appreciate my family. I have a great supporting cast. That night is for me and my family. I came from Northern Connecticut in an impoverished house, so that night is going to be great. CS: Who is the hardest player you had to defend in college? KS: The hardest player I had to defend…. Probably my freshman year, probably Pierre Jackson. When he was at Baylor, when he was a senior, he was a really good player. Fast. Changed his speed really well. He had a jump shot. Other than that, I wouldn’t say a specific player, but I would say teams. Villanova, they’re a hard team. They had so many great players. Seton Hall, they had some great players. Michigan State. CS: What are you most excited about going from the college game to playing with the big guys in the NBA? KS: Just going against the other point guards in the league. Everybody knows that this league is starting to get so point guard dominant. There’s so many great point guards around the league. And I just want to see my skill level against the other point guards. See what I have to work on and improve on in order to become an elite point guard. I think that is everybody’s standard, every day trying to become an elite player. You’ve got to go against the best in order to understand what you need to improve on. CS: So I understand you’ll be working with Speed Stick and Coach Speedman at the #Speedman Combine, what’s that about? KS: Coach Speedman is John McGinley, the actor. He’s unreal. He’s unbelievable. I had a great time with him during my set. So we’re bringing the media through two circuits. 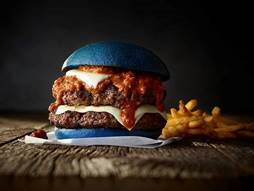 In the first circuit, they’re going to have to do their own commercial, their first commercial. They’re going to mess up, of course. So they bring us in to help them get past their first commercial. So we tell them to stay true to themselves, you know, not try to get too down. Don’t try to be perfect in your first run and whatnot. Just have fun with it. Basically John McGinley taught us to feel comfortable and have a good time with it. Then the second circuit I think is going to be the best one. It’s the pregame ritual. So the media has to do their own pregame ritual. Going through like Russell Westbrook or Kevin and they’ll be dancing before the game. Or in my case, before the game I love listening to music to get myself pumped up so I don’t have the jitters. It should be really fun. CS: Is John C. McGinley that hilarious in person? KS: [Laughs] Oh, he’s so funny. It’s unreal. Like, even when he doesn’t try to be funny he’s funny. He’s amazing. Lincoln just added something very cool to their car buying experience. Today Lincoln announced their new Pickup and Delivery Service across all 2017 nameplates starting with the all-new Lincoln Continental. The exclusive standard service builds on the brand’s commitment to providing a human, warm and personal experience at all Lincoln dealerships. Lincoln Service Valet will pick up a client’s vehicle at an agreed location and, provide a complimentary Lincoln loaner vehicle, and then take the client’s vehicle to the dealership for service. Once complete, clients can arrange for their washed and serviced vehicle to be returned to them at the location of their choice. This exclusive Pickup and Delivery marks another milestone in Lincoln Motor Company commitment to merge great products, an outstanding experience and impeccable service – part of its original 2012 business plan. Since Lincoln began this journey, it has delivered four all-new products in four years, established a dealer network in China, built brand awareness, and increased volume for the brand and Lincoln products. Lincoln Concierge: A trusted personal advisor – like the most attuned hotel concierge – assists clients 24/7 online at www.lincoln.com. While other luxury brands offer similar services, only Lincoln provides clients with an opportunity for video chat with a live person. Black Label: Started in 2015, the number of participating dealers has increased to more than 90 committed locations. Black Label provides personalized shopping with dedicated personnel in the showroom, online, or in locations convenient to clients. Specially trained Black Label experience liaisons meet prospective clients at their home, office, or anywhere within 30 miles of the showroom to begin the experience. Acting as a personal shopping assistant, the liaison helps clients identify their ideal vehicle by sharing paint and wood trim samples, as well as material swatches. Lincoln Black Label owners enjoy special privileges – ranging from extended premium service and maintenance coverage on wear items to Culinary Collection membership that provides access to a curated list of restaurants from coast to coast. Date Night: This extended test drive allows qualified buyers the chance to experience a Lincoln vehicle for up to 48 hours. In 2015, Date Night resulted in more than 11,000 sessions at select dealers, prompting nearly an 11 percent increase in Lincoln purchases. The program attracted nearly 70 percent of clients who had been with other luxury nameplates. Lincoln Institute: Training for key client-facing individuals is provided through Lincoln Institute. The program, which combines all of the brand’s training efforts under one umbrella, has been expanded to include all Lincoln dealers. Lincoln Institute includes not only hospitality training, but an all-new series of workshops that provide participants with tools to help local teams develop and execute processes consistently for luxury clients. Pickup and Delivery is an important milestone in Lincoln’s commitment to providing personal client services to match its unique luxury products, coming at the perfect time as Lincoln prepares to launch the much-anticipated 2017 Lincoln Continental. 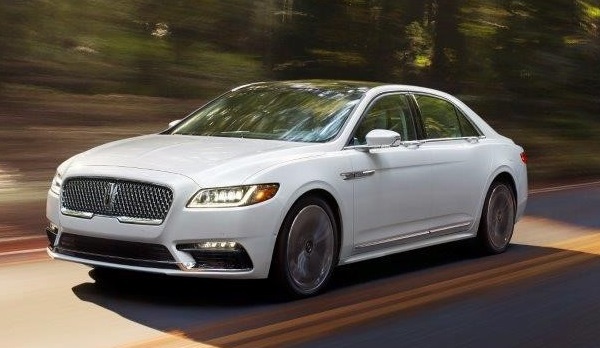 The all-new Lincoln Continental returns as the brand flagship this fall, offering first-class travel for clients in America and China through warm, human touches and a contemporary design. The full-size sedan is designed to appeal to culturally progressive clients who define luxury on their own terms – craving superior quality, craftsmanship and safety. If you already loved the 2017 Ford GT you will get even more excited when you see the latest edition. Ford recently announced that the all-new 2017 Ford GT will be available in a limited edition Heritage edition, honoring the GT40 Mark II driving at Le Mans in 1966 – part of the historic 1-2-3 Ford GT sweep. The Ford GT ’66 Heritage Edition features a Shadow Black exterior in either gloss or matte finish with silver stripes and exposed carbon fiber package. The car sports Frozen White #2 hood and door graphics, and 20-inch one-piece forged aluminum wheels in a gold stain clear coat with black lug nuts. All-New 2017 Ford GT ’66 Heritage Edition Pays Homage to Historic Livery on 1966 Le Mans Winner. This edition will have the unique black and silver-stripe livery celebrates 1966 Le Mans-winning GT40 Mark II race car driven by Bruce McLaren and Chris Amon. 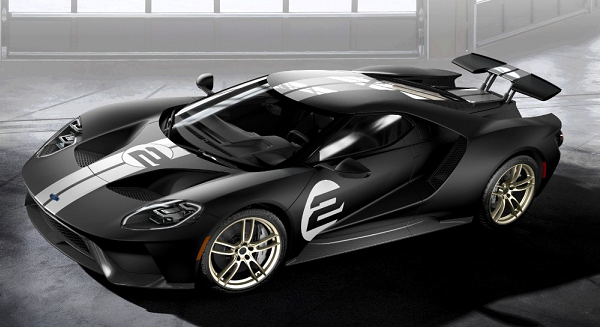 The Ford GT ’66 Heritage Edition honors the historic No. 2 race car limited to 2017 model year only and features exclusive race-number graphics, and unique interior colors, materials and appointments. 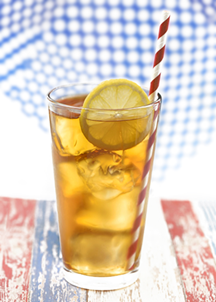 In a few days we will be celebrating America’s Independence from England. 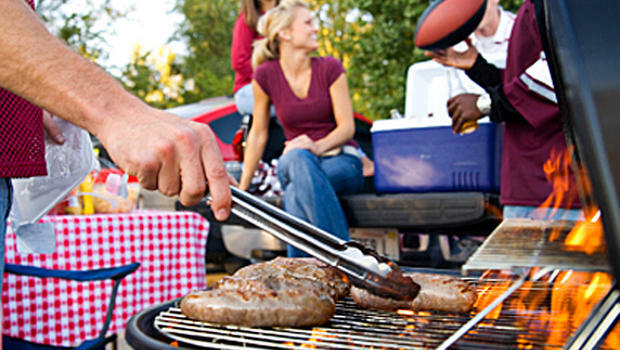 As we get our grills and shopping lists in order we thought we could help out your 4th of July menu with these great recipes below. 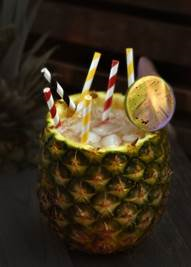 From burgers to cocktails we here at MANjr have you covered. 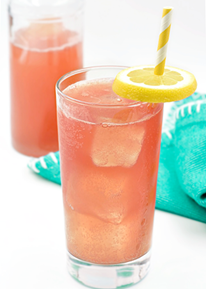 Shake all with ice. Strain over ice into pint glass. 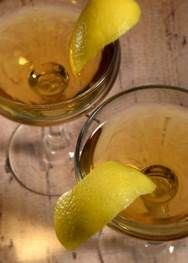 Garnish with a lemon wheel.